Global cloud services market is expected to reach $555 billion by 2020. It is imperative for students to learn the cloud technology skills to make them on par with industry standards. To enable students to learn cloud technology skills, ICT Academy in association with AWS Educate is conducting Cloud Literacy Month 2018 aiming at making its member institutions to organise a day long CLOUD LITERACY DAY within their institution during the month of September 2018. Cloud Literacy Day is intended to induce self-learning and introduce basic cloud technology skills to all students. The program is organised exclusively for all member institutions of ICT Academy across India, where the students learn the modules online through self-instructed videos and exercises and prove their cloud learning skills. 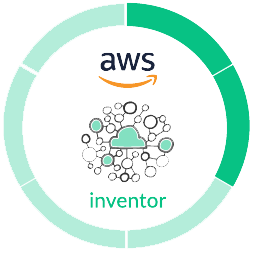 By successfully completing the course, they will earn their first AWS Inventor Badge. 1st Year and 2nd Year Students of ICT Academy Member Institutions across India. Tamil Nadu, Karnataka, Andhra Pradesh, Maharashtra, Telengana, Puducherry, Delhi, Uttar Pradesh, Harayana, Uttarkhand, Arunachal Pradesh, Assam, Manipur, Meghalaya, Mizoram, Nagaland, Sikkim, Tripura. The registration is open to all ICT Academy members across India who can host the CLOUD LTERACY DAY during the month of September 2018 in its campus. Registration of institution is open from 20th Aug 2018 to 31st Aug 2018.
to participate in "Cloud Literacy Day"
No matter your skill level, AWS Educate will help you learn the essentials you need in today's cloud enabled world. This introductory self learning course explores how computers work and Internet infrastructure, cloud computing models and AWS fundamentals. Throughout the course, students will expand their knowledge of cloud computing through narrative-based scenarios and short interactive tasks. Students will also survey cloud careers and discuss industry demand for cloud skills. Complete and pass the Fundamental Cloud Skills on the Cloud Literacy Day at your campus. Download these files, add your institution logos and dates to promote Cloud Literacy Day within your campus. Copyright 2018 © ICT Academy. All rights reserved.